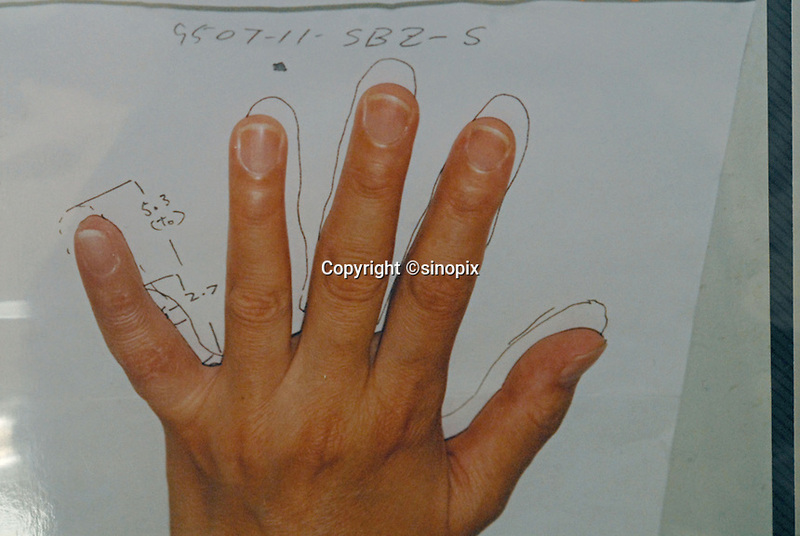 Pictures of hands and fingers operated on at the Hello Tomorrow Clinic in Tokyo, Japan. The clinic specializes in making false fingers to Japanese gangsters, known as the Yakuza, who have had to show allegiance etc by cutting their own fingers off. The clinic has made and fitted fingers to over 3,000 gang members who need to disguise thier back-ground.